Ruth Ann Cranston could see her dad slipping away. Two years ago, she moved her father, Larry Ruzicka, into Bethesda Meadow, a skilled nursing home community in Ellisville, Mo. Since then, Ruth Ann said the reawakening of her dad’s mind has been amazing. Linda McNair, a board-certified music therapist, started adapted keyboard lessons – one of her favorite music therapy tools — with Larry right after he moved in and began music therapy. Lessons can range from letting the resident attempt to play a simple tune such as “Mary Had a Little Lamb” to improvising along to a jazz track. Larry, who loves big band music of the 1940s and 1950s as well as jazz, likes to try to accompany his favorite songs. He gets a helping hand from Linda’s instrument, as the keys on the keyboard light up in the proper sequence. Residents who aren’t able to play the keyboard can still benefit from music therapy. Linda said those seniors can listen to their favorite type of songs on an iPod, which stimulates their brains, soothes their nerves and jogs their minds. “Playing music helps seniors to remember patterns, and that helps them exercise their cognitive ability,” Linda said. “Equally important, it gives residents a chance to feel good about their accomplishments and express their creativity. In addition to working well with seniors living with Alzheimer’s Disease and other forms of dementia, music therapy has been found to benefit people who are recovering from traumatic brain injuries, people who have autism, and people with Parkinson’s Disease. Music therapy is an evidence-based clinical practice that is used with all populations ranging from the tiniest new born preemies to those on hospice at the end of life. Visit the American Music Therapy Association to learn more about the many benefits Music Therapy can provide your loved one. Larry is one of approximately 7 individuals currently receiving individual music therapy sessions but all residents at Bethesda Meadow receive the benefits of having a full-time Music Therapist on staff. Linda provides weekly group sessions for Move and Groove, which promotes physical well-being and range of motion, a Sunshine sing-along group for residents who are not actively engaged in other groups, the Meadow Larks, which is a therapeutic singing group as well as overseeing the facilities’ Music and Memory program (iPod program). In fact, Larry has enjoyed his musical awakening so much, he’s even joined the choir at Bethesda Meadow, finding joy in singing with his friends from around the building. 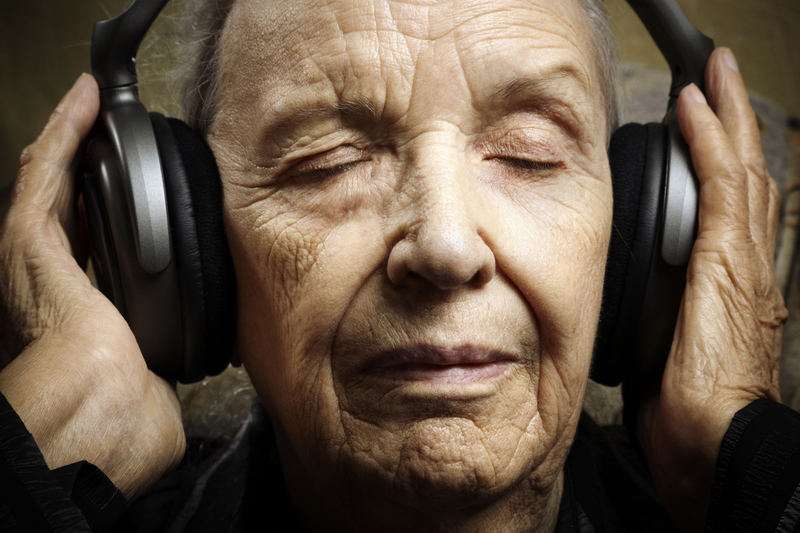 Can music therapy benefit you or your loved one? This program is offered to seniors throughout the St. Louis area. For more information about music therapy at Bethesda, please contact Bethesda Skilled Nursing or call 314-800-1911.